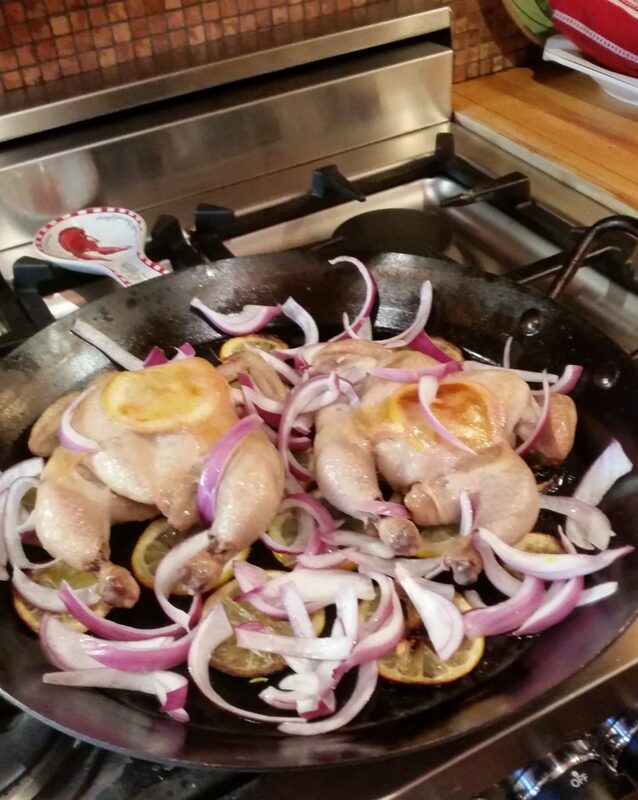 This is Martha’s recipe but she used one 4-pound chicken instead of two 2-pound young chickens and shallots where I used red onion. Spatchcocked chicken is splayed or butterflied. 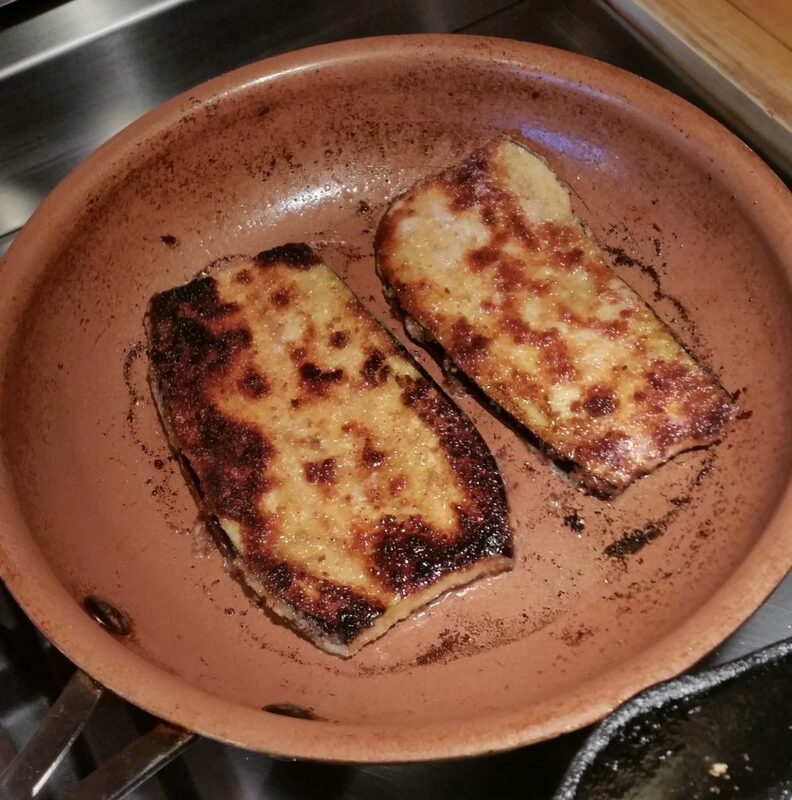 It’s done this way so it cooks faster or can be cooked on a grill. It’s also easier to carve than a whole roasted chicken. Preheat oven to 425 degrees. 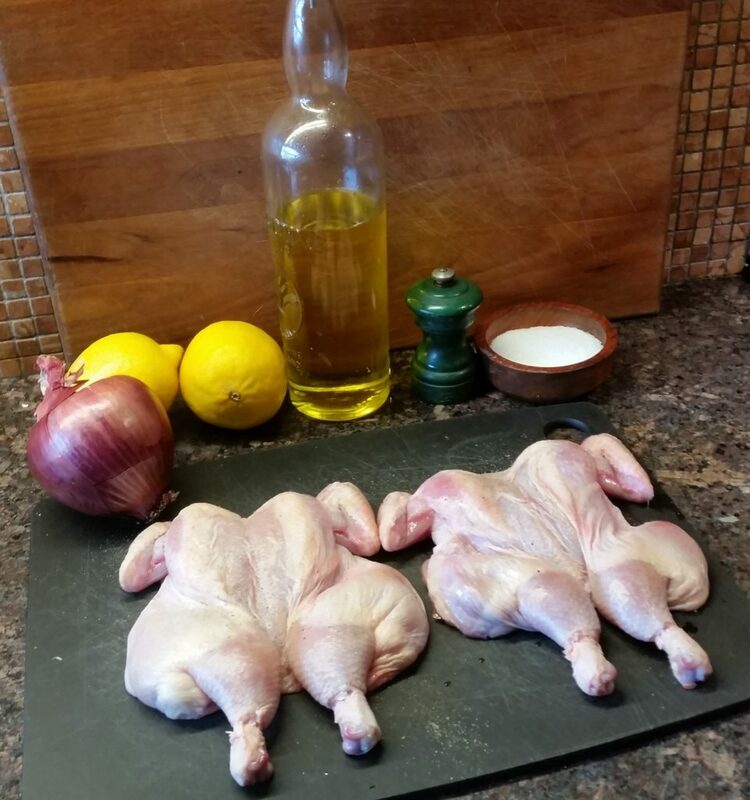 Place chicken, breast side down, on a work surface. Starting at thigh end, cut along 1 side of backbone with kitchen shears. 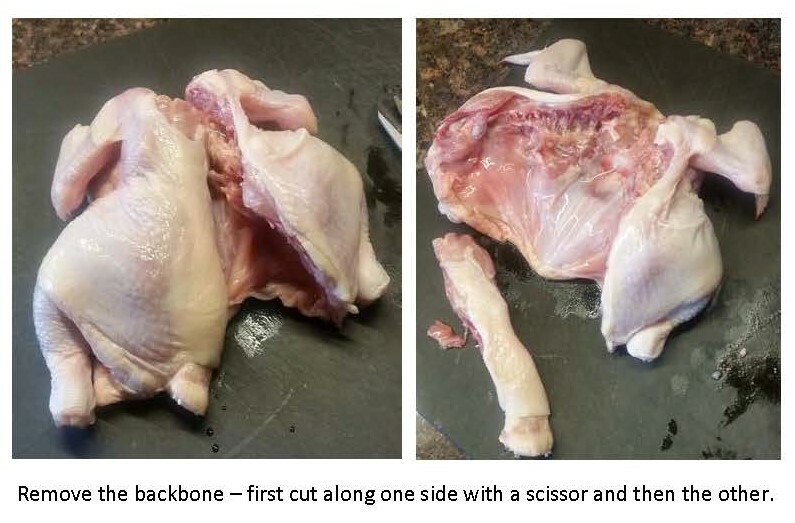 Turn chicken around; cut along other side. Discard backbone or save for stock. Flip chicken, and open it like a book. Press firmly on breastbone to flatten. Rub chicken with 1 tablespoon oil, and season with 1 tablespoon salt and 1/2 teaspoon pepper. 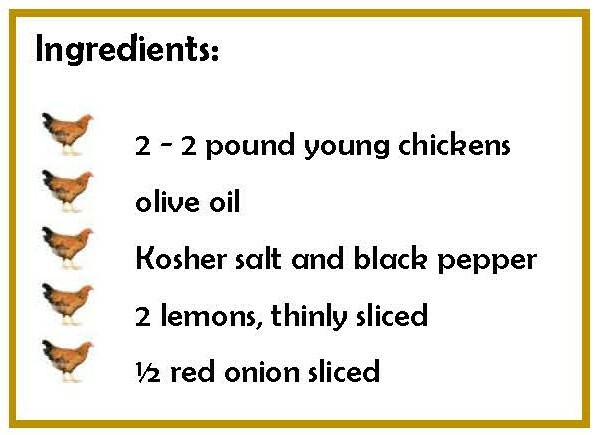 Brush 1 tablespoon oil in the center of a rimmed baking sheet slightly larger than the size of the chicken, and place half the lemon slices in a single layer on top of oil. 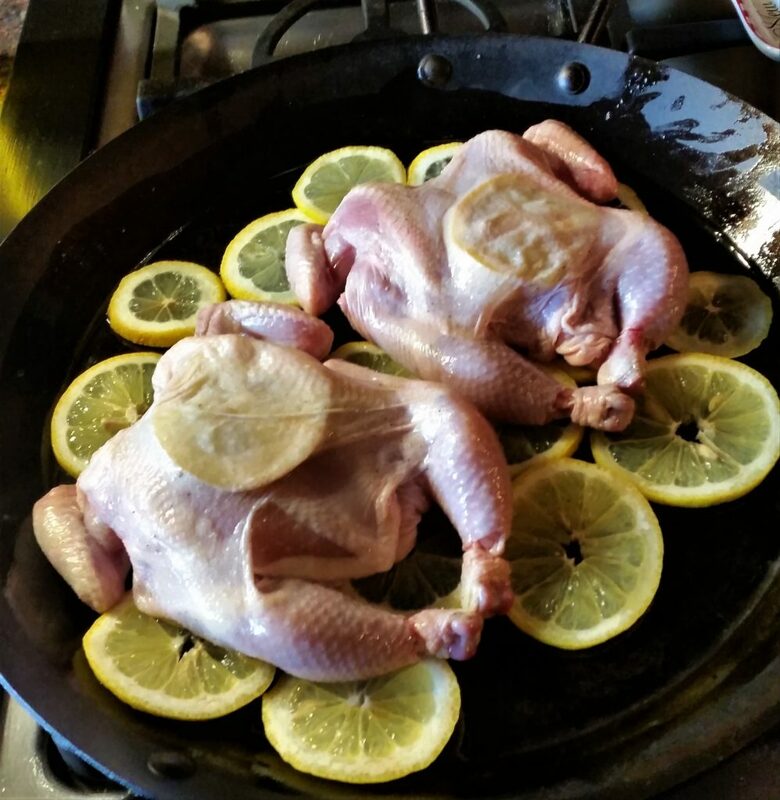 Place chicken, skin side up, on lemons. Beginning at the neck end of breast, carefully loosen skin from flesh of breast and thighs with your fingers. Slide remaining lemon slices under skin in a single layer. 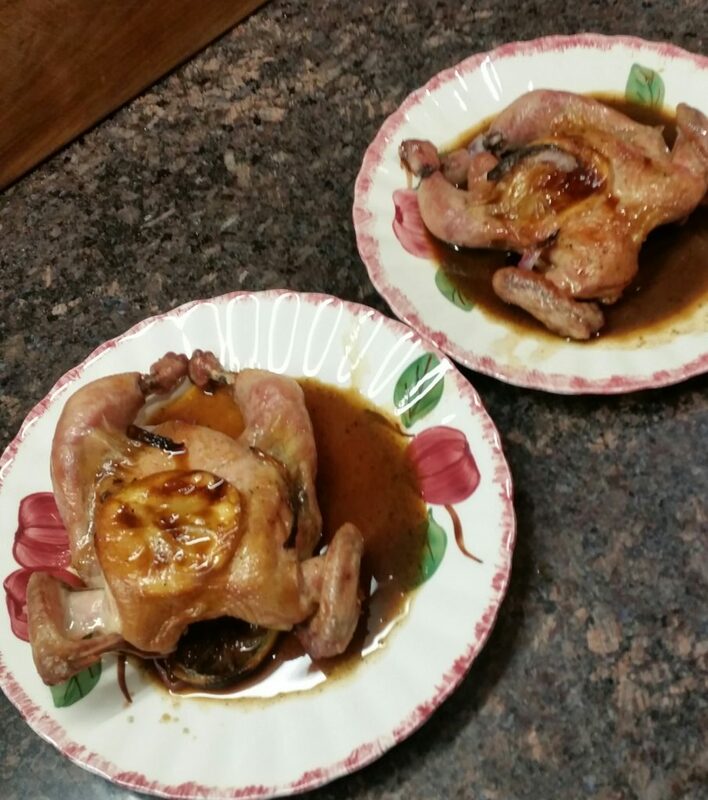 Roast chicken 20 minutes. 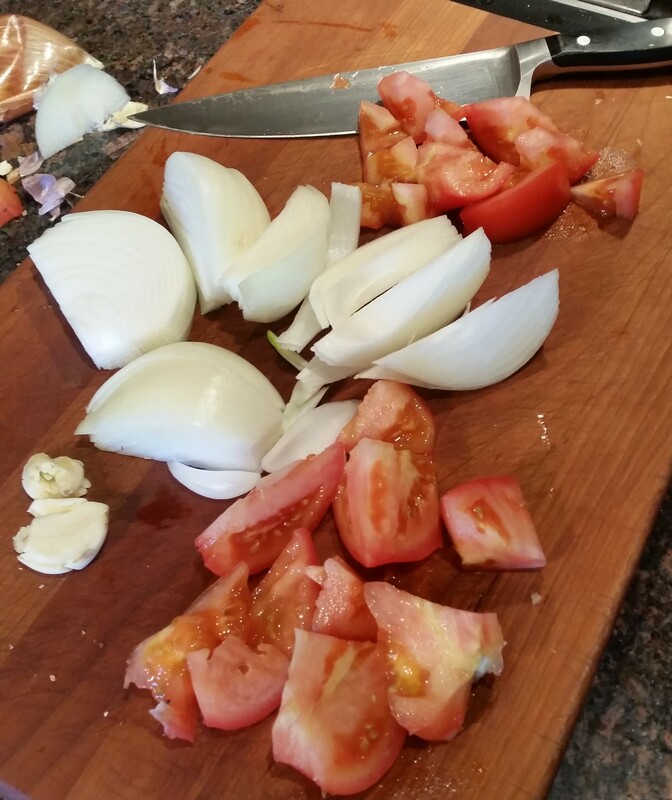 Toss onions with remaining teaspoon oil, and scatter around chicken. Continue to roast chicken until a thermometer inserted into thickest part of breast reaches 165 degrees, 25 to 30 minutes more. Transfer the chickens to a serving platter, and let it rest 10 minutes. 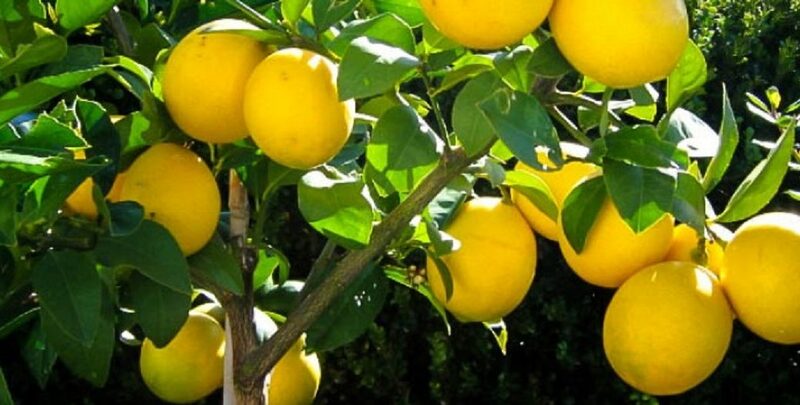 Cut it into halves or serve whole with roasted some lemons, onions, and pan juices. 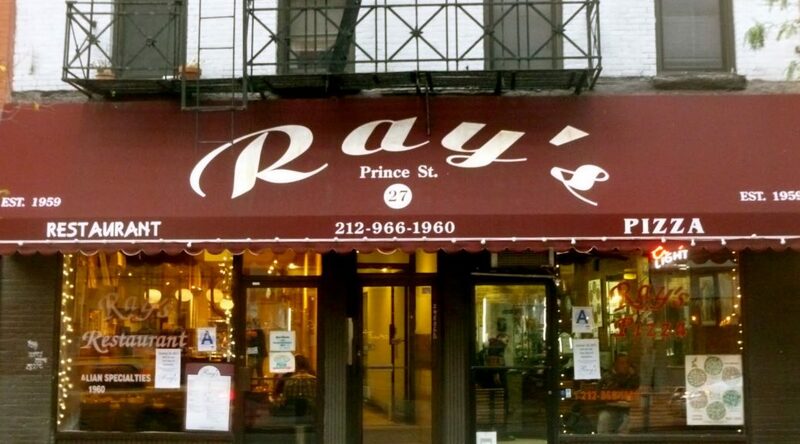 I grew up on Mott Street, just around the corner from Ray’s Pizzeria. It was a few doors from where my grandmother lived on Prince Street. I remember when it opened, in the same storefront where my barber, Luca, had his shop. Luca retired and Rayfie opened his pizzeria and eventually made it larger with an expanded the menu. It was great having a good pizzeria so close to where I lived. 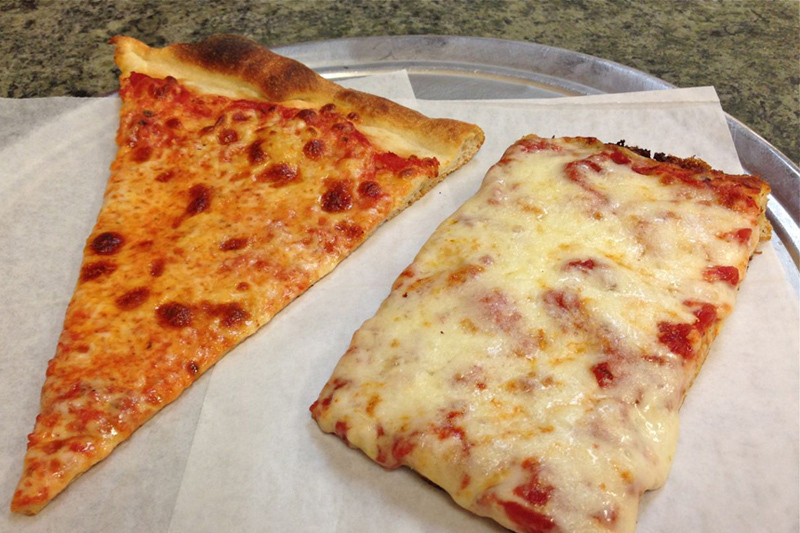 For years, in New York, there’s been a dispute about which “Ray’s” pizza was the first one. 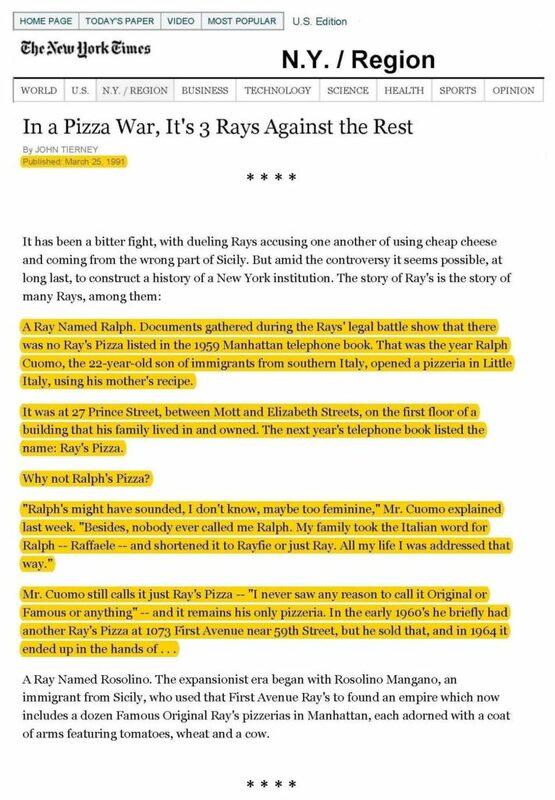 It’s gone now, but based on my experience and backed-up by this old New York Times article, the “Original” was Rayfie Cuomo’s on Prince Street. I hope this settles some arguments. For the whole NYT article – click here. 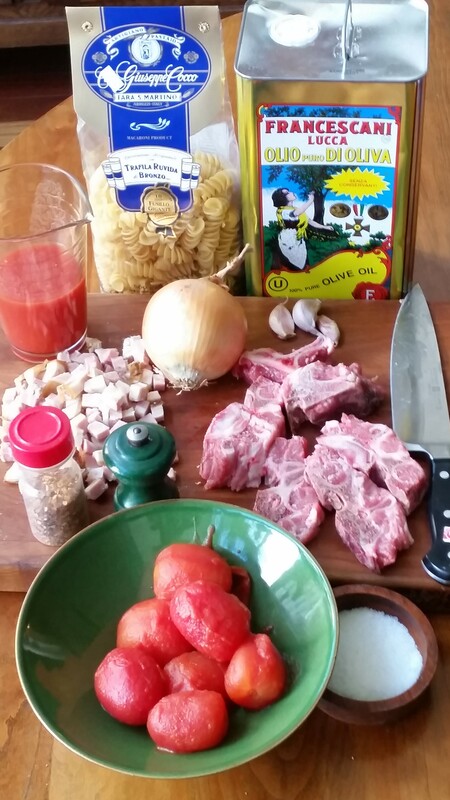 This is a very basic form of bouillabaisse. 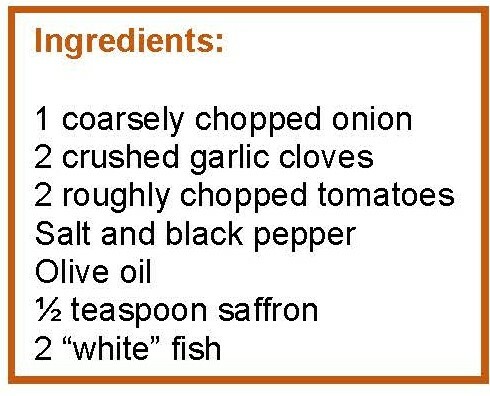 Just a few ingredients and there isn’t any shell fish or anis or fennel and the stock is made as it’s cooking. 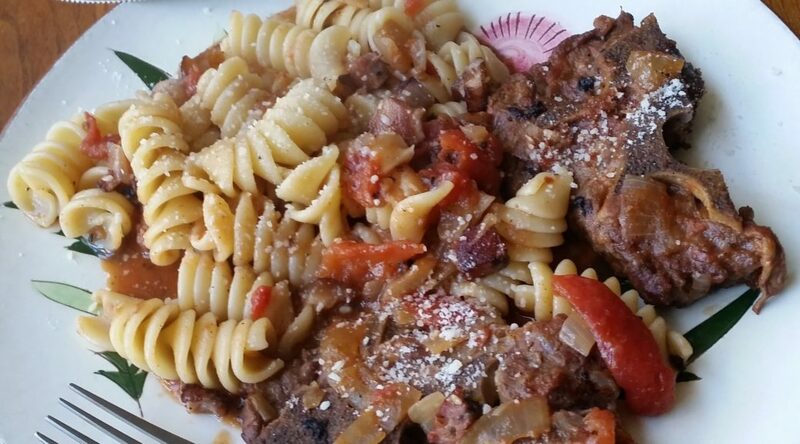 You can start with this recipe and add on to it but it’s really very good as simple as it. 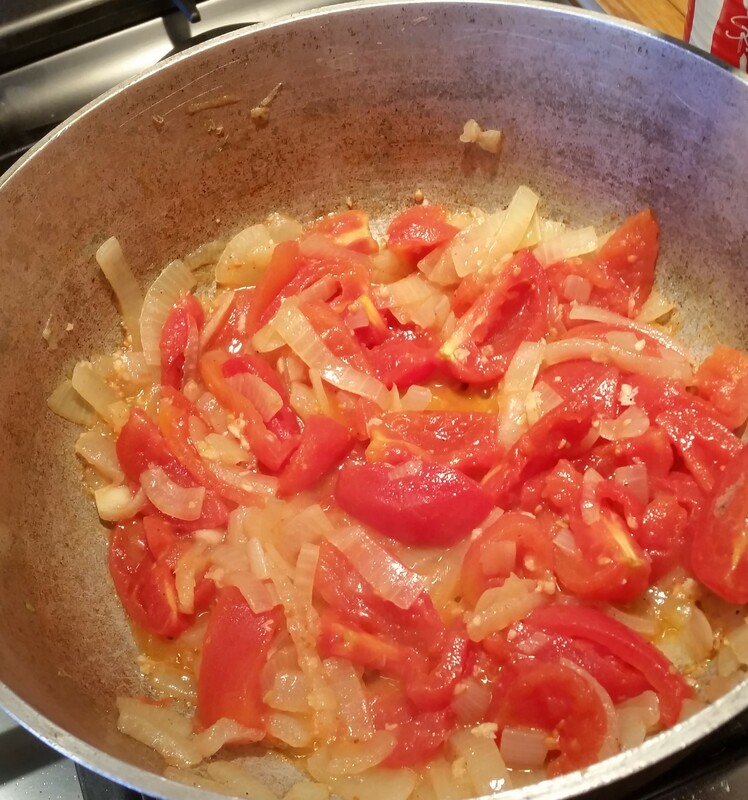 Simmer the onions, garlic and tomatoes in oil with salt and black pepper on high heat, until they soften and release their liquid. There’s no need to peel or cut them too finely since they’ll be strained out before serving. 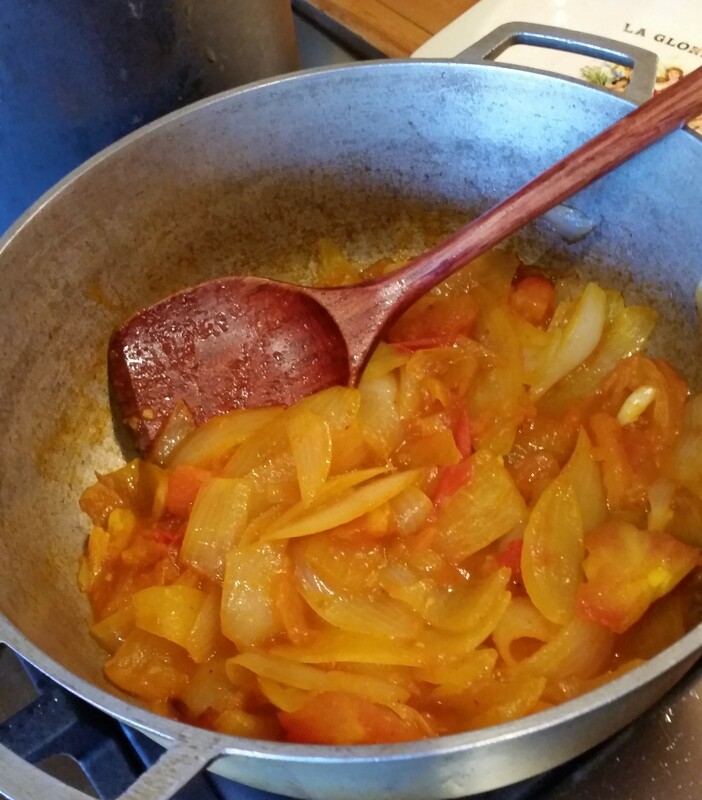 Add the saffron and stir. 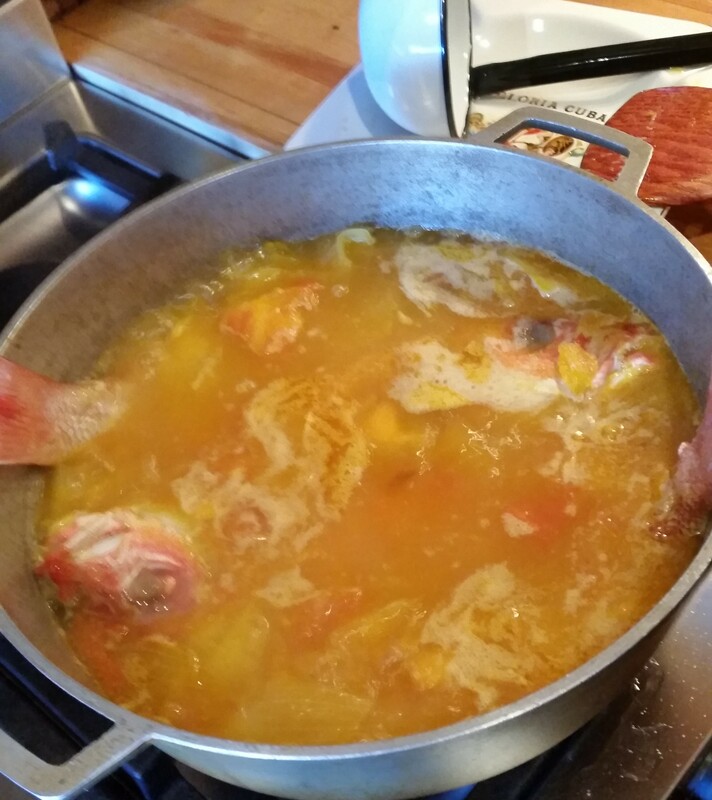 Lay the cleaned whole fish (any kind of white fleshed fish will do) on top of the vegetable mixture and cover them with boiling water. 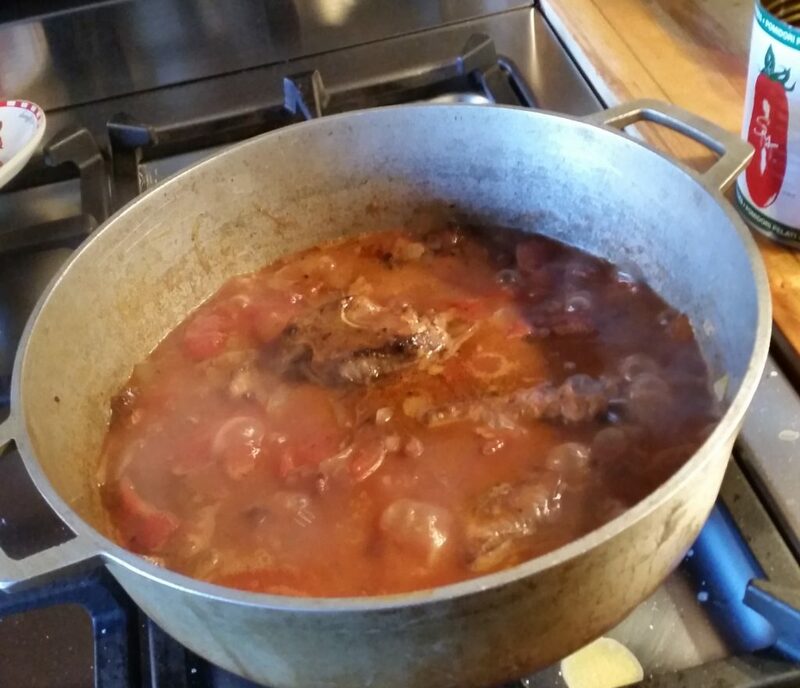 Lower the heat and simmer for 10 -15 minutes. 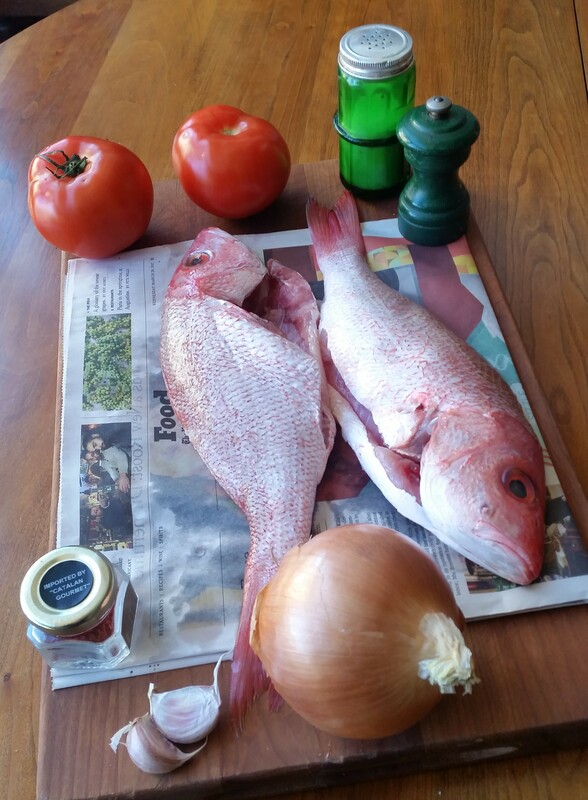 Remove the fish and place it in a platter and filet it. 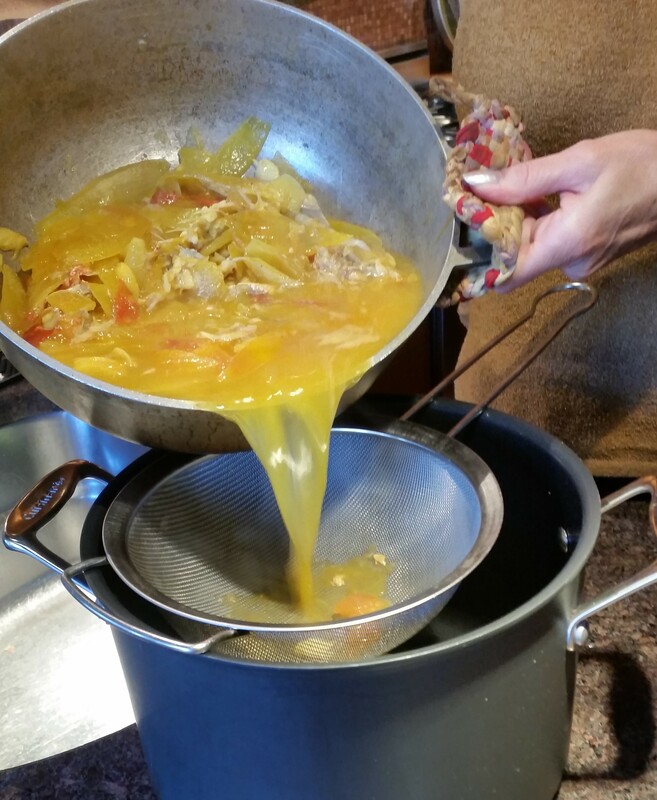 Return the bones to the broth and bring to a rapid boil for a few minutes then strain the liquid. 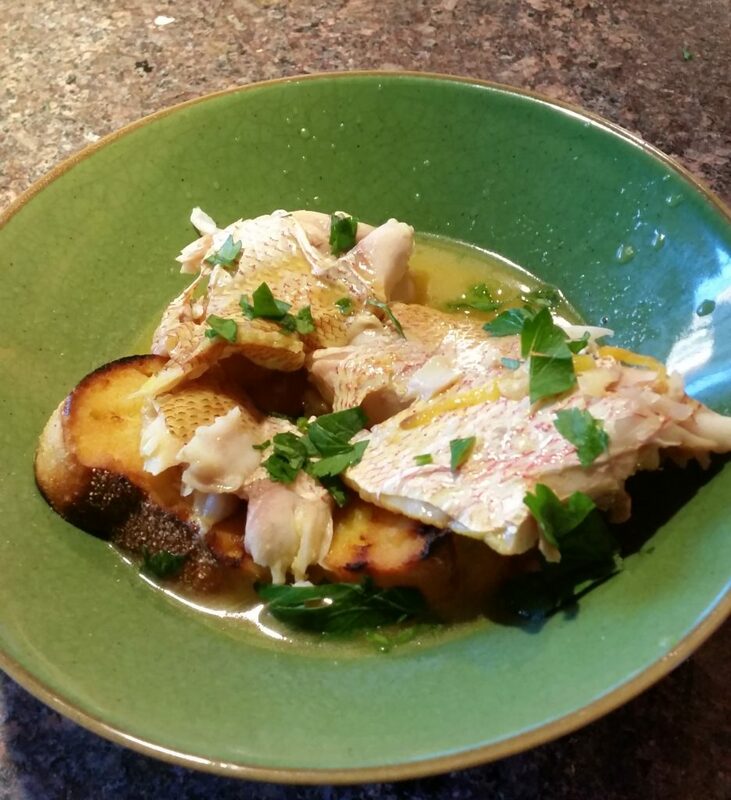 Place crusty bread in bowls and lay pieces of the fish on top of it, then some of the liquid and a sprinkle of chopped parsley if you like. There’s a pizzeria/Italian restaurant called Capone’s on North Ocean Drive in Hollywood Beach, Florida. The last time I was there I had this and gave it a try at home. It was easy and worked out perfectly. I’m not sure what they call it on their menu but it looks like a sandwich. 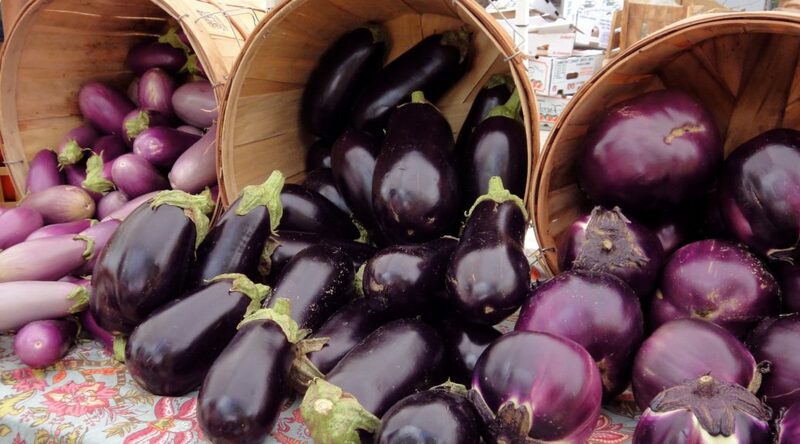 Cut the ends off the eggplant and slice vertically. Discard the first and last slice which will be mostly skin. You need 9 slices to make 3 sandwiches. Beat the eggs with some salt and black pepper. 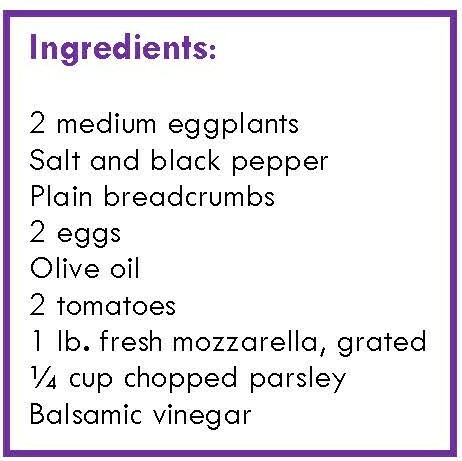 Dip the eggplant slices in the egg wash and then in the breadcrumbs. Fry them in oil until deep brown. Drain on paper towels and let them cool. 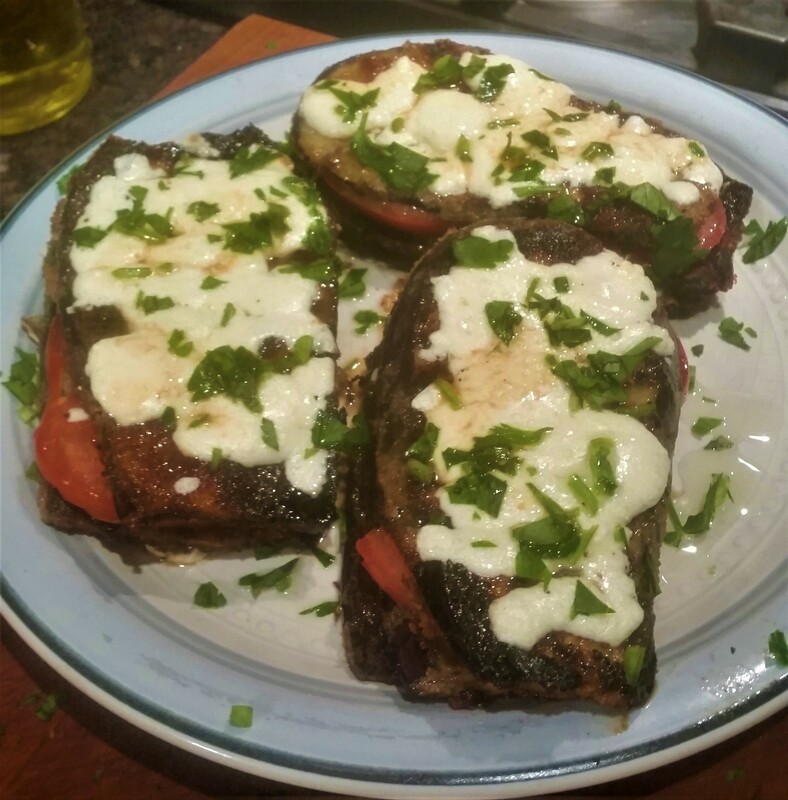 Start with a slice of eggplant and cover with mozzarella. 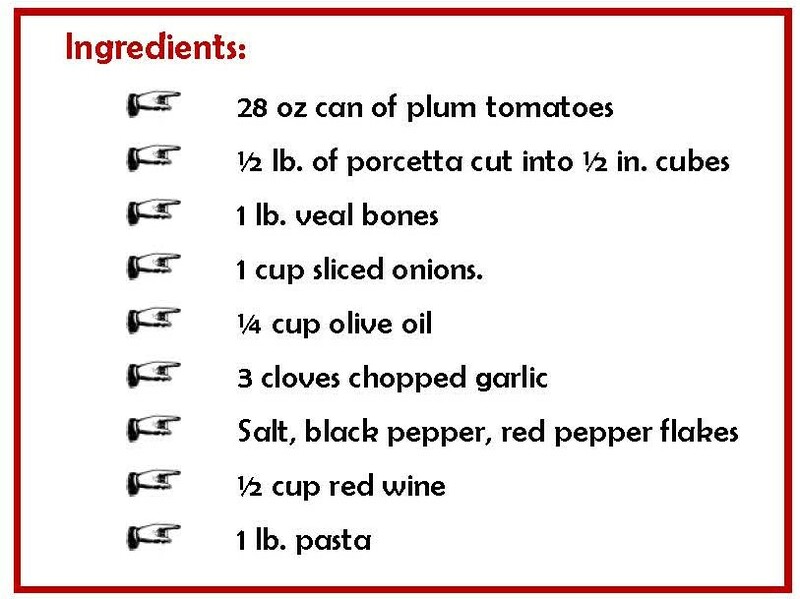 Add another slice of eggplant and cover with one layer of sliced tomato. 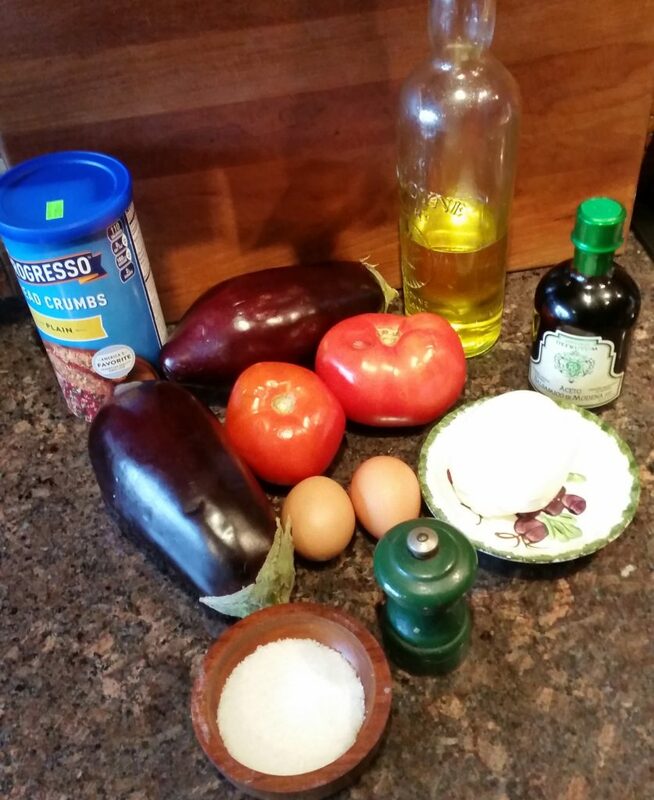 Add another slice of eggplant and cover with more grated mozzarella. 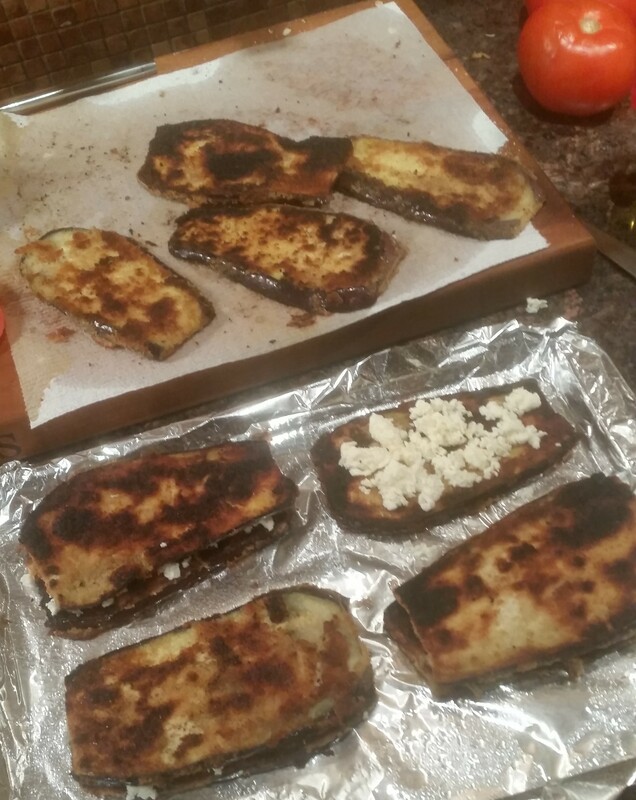 Place the 3 sandwiches on a baking sheet and cook in a pre-heated 300o oven for 15 minutes or until the cheese melts. When done, sprinkle with the parsley and drizzle with a little balsamic and some olive oil. It might look like a triple-decker sandwich but serve it with a fork and knife.